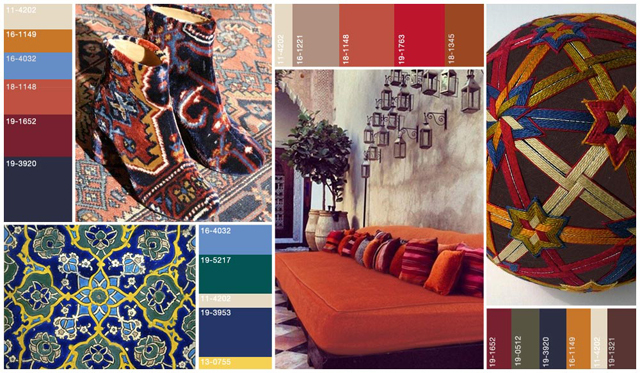 The Commune trend story addresses a deeper appreciation of world cultures through artisan crafts. The Commune woman composes various ethnic references in a sophisticated manner that ultimately speaks to luxury. This trend preview is one of a series included in the latest S/S 16 Womens Accessories Trend Stories Series report now available in the FV Trend Shop. Here you can take a first look at the seasonal narratives, focusing on a clear and concise product and lifestyle road map. We have compiled this information into a special report for Fashion Vignette members, courtesy of Fashion Snoops – where the full reports are available exclusively to subscribers. 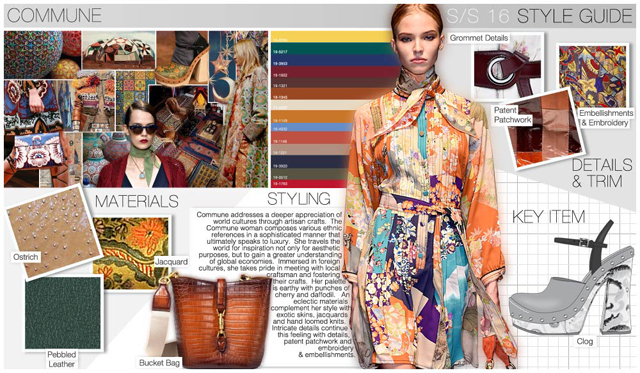 The full version of the trend reports are available now for individual purchase in the Fashion Vignette Trend Shop. 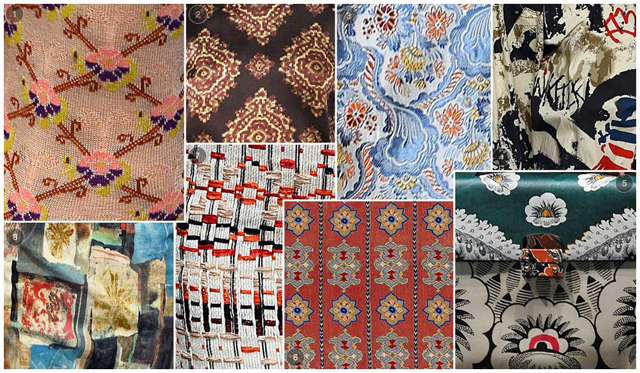 Commune addresses a deeper appreciation of world cultures through artisan crafts. The Commune woman composes various ethnic references in a sophisticated manner that ultimately speaks to luxury. She travels the world for inspiration not only for aesthetic purposes, but to gain a greater understanding of global economies. Immersed in foreign cultures, she takes pride in meeting with local craftsman and fostering their crafts. When the Commune woman returns home she takes not only physical souvenirs with her, but stories of the people she has met along the journey. Her palette is earthy with punches of cherry and daffodil. 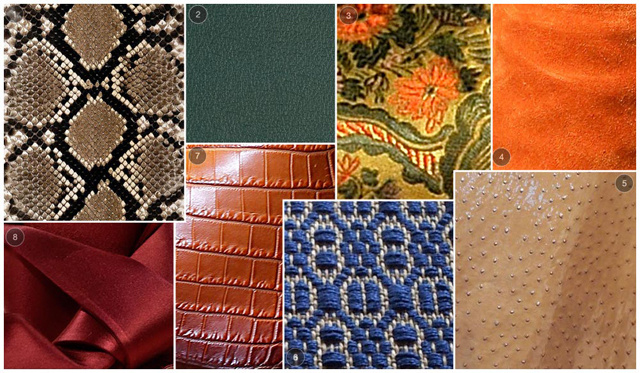 An eclectic materials complement her style with exotic skins, jacquards and hand loomed knits. 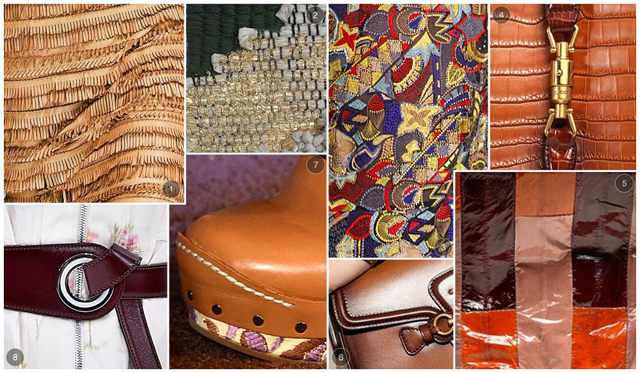 Intricate details continue this feeling with grommets, patent patchwork and embroidery & embellishments. The complete trend stories for Spring/Summer 16 are available now for purchase through the Fashion Vignette digital Trend Shop. Additional comprehensive forecasting reports are also available across all markets. These are the seasonal narratives for S/S 16, focusing on a clear and concise product and lifestyle road map. For each forecast, you will start out with a story to set the mood. 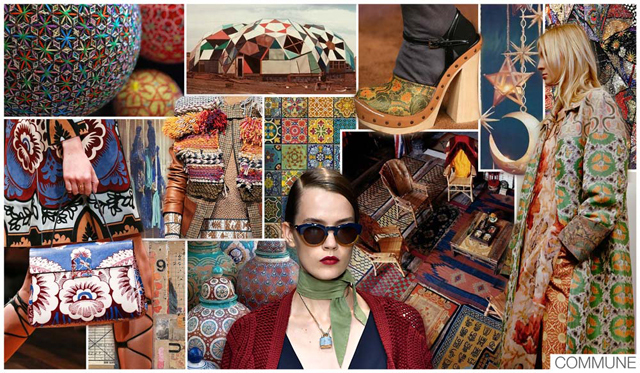 Next, you will see collages that focus on inspiration, color, materials and design details. 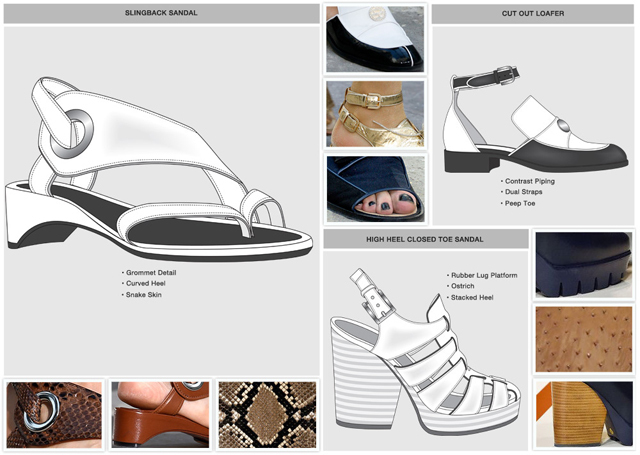 Our new Key Items page takes downloadable sketches laid out like a virtual line sheet, complete with suggested updates for all of our accessories categories, including footwear, bags, jewelry, eyewear, headwear, neckwear, gloves, belts and legwear. You will also find our acclaimed Style Guides (also available in High-Res), which bring together all of the most important elements of the story in one place for you to reference as you move along your creative journey for the season. We finish with a new tool, the Trend Map which shows how the trend originated and evolved, including clickable icons for past reports that include Culture and Lifestyle, Visionary and Runway Analysis. 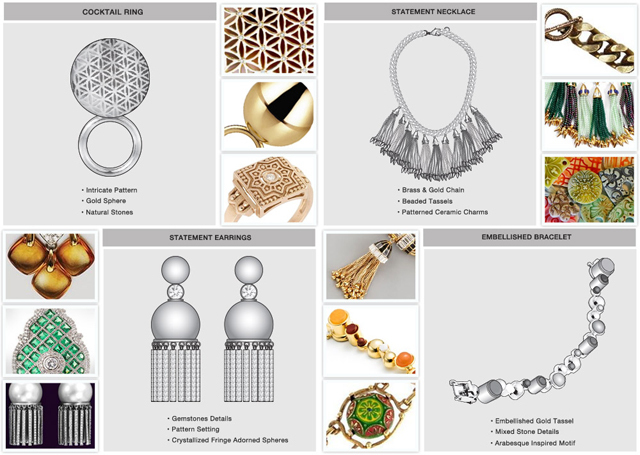 This S/S 16 Women’s Accessories Trend Stories Series forecast by Fashion Snoops include seasonal narratives that focus on a clear, concise product & lifestyle road map for the women’s accessories customer. Visit our trend shop today to learn more!